On the 4th of May, Wei Keong and I (Samantha) had the privilege of meeting Gracie, our Outreach and Partnerships Officer, together with her parents, Mr & Mrs Teo. The weather was perfect for our small gathering to chat about their photo-memories, which were accompanied by some delightful iced-tea and Nonya-kuehs. 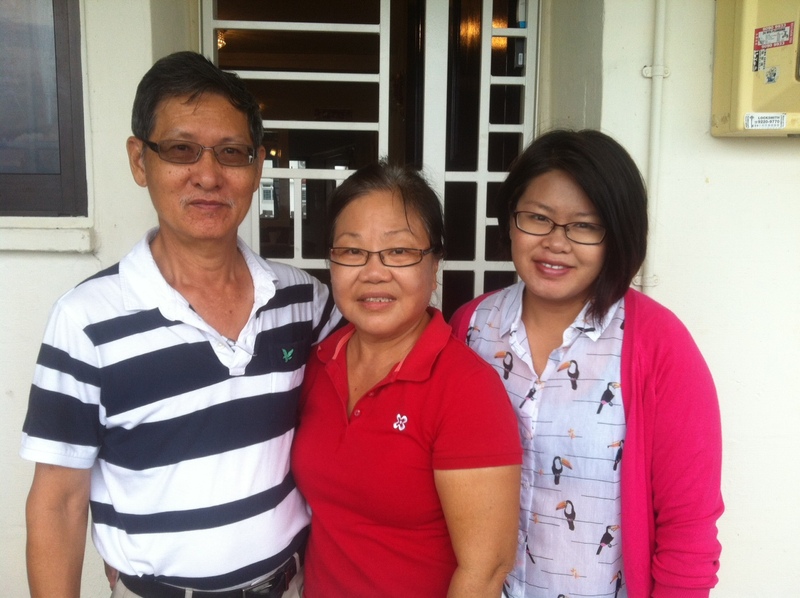 Mr Teo had specially requested to meet at the Marine Terrance neighborhood in order to take Gracie back to the place where the Teo family had lived in the early years. The place was very scenic, with crisp honey-comb sunlight streaming between the laundry on bamboo poles that the resident hung out for drying, children playing deliriously at the playground and cats lying lazily at the void deck. The briny and constant ocean breeze from the East Coast passed gently through the neighborhood, sending cooling relief from the afternoon heat. Gracie had brought two albums from her home, both neatly organised by her father who is now a retired teacher. 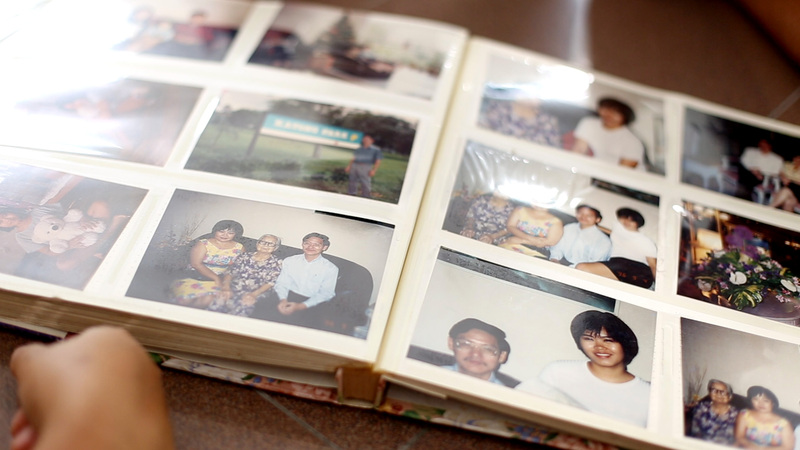 The first album opened up photographs of young Mr & Mrs Teo. 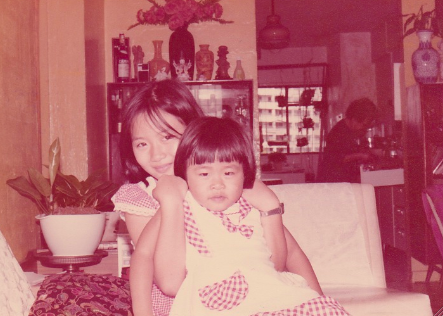 There were immaculate studio portraits of Mrs Teo as a child, together with her mother and sister. They were placed side-by-side with the headshots of Mr Teo in his youth. These were the times before the couple had met. A “meeting of minds” was how Mr Teo remembered the spark of romance he had with Mrs Teo on their first encounter at a hospital where Mr Teo was having an operation. 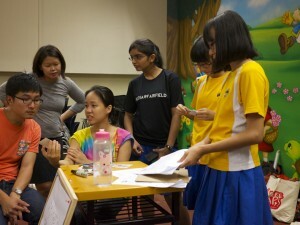 Mrs Teo was the nurse who attended to him. Their relationship blossomed and they got married in 1973. 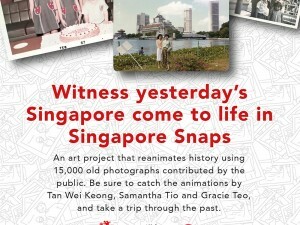 “More than 40 years ago,” Mr Teo reminisced. 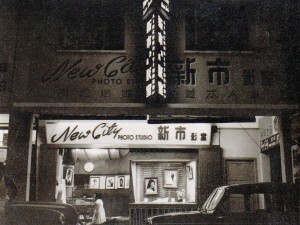 The customary wedding at that time was held in the very shop house along Duxton Road where Mr Teo grew up. 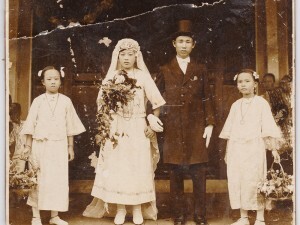 His late father owned a provision shop and his parents were very conservative in following the tradition of holding the wedding at the groom’s house. 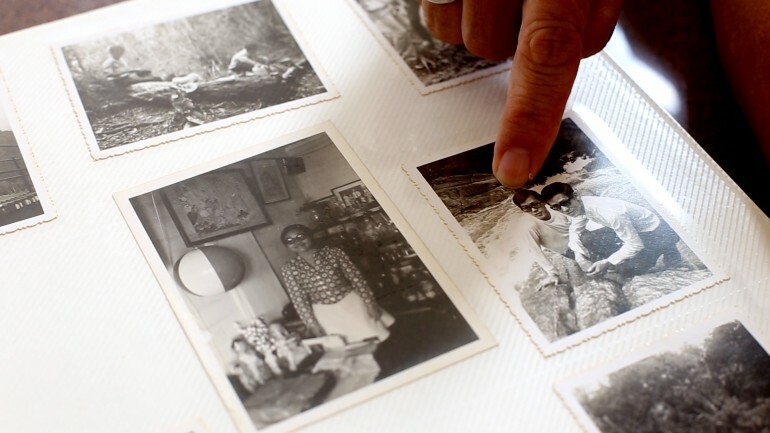 Mr Teo recalled how wedding tables were placed right along the road just in front of his house. Wedding receptions in hotels were considered the modern thing to do then. At this point, Gracie got a chance to find out more about her parents’ lives before she and her sister came into the picture. 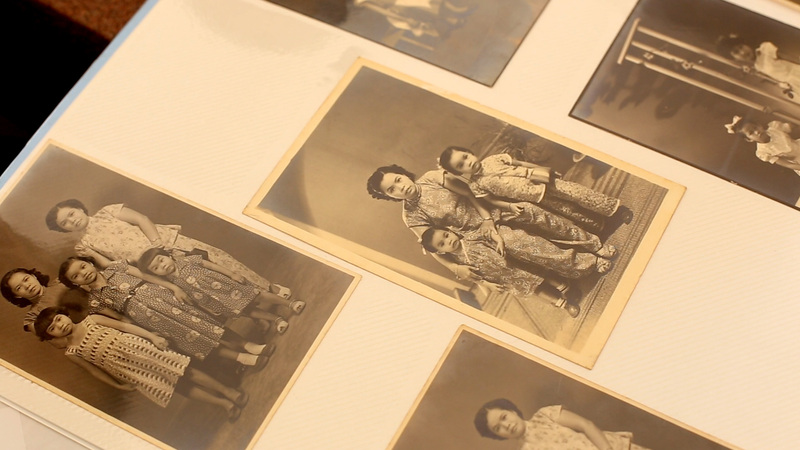 With reference to the photographs, the family spoke about the time before the children had arrived. – of previous homes, outings, friends and family. One of the hobbies that Mrs Teo has taken up again since retiring is cooking Peranaken food. 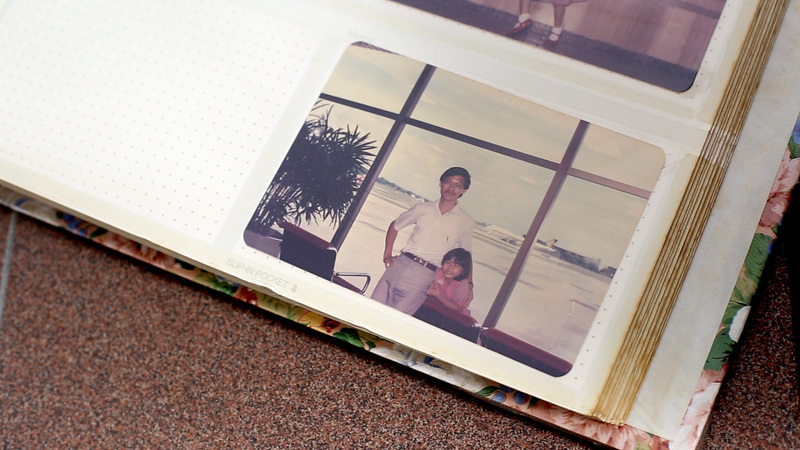 In the kitchen, Mrs Teo learned by observing her mother when she was cooking for the family. 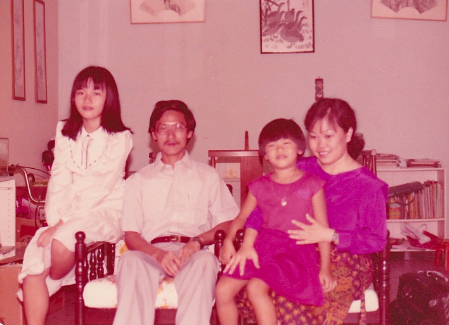 “Recipes were not passed down by written instructions, so I learned the ability to “agar” or to gauge the right amount of ingredients through rediscovering Perananken dishes in these recent years, and remembering my mother’s cooking,” she mused. “Most of my memories started when I was around 5, a few years before entering primary school,” Gracie noted. Gracie took the opportunity to ask about the jobs her parents had as they were bringing her and her sister up. Now having had her own working experiences, Gracie relates to her parents better. This afternoon with Gracie and her family made us think of the intrinsic stories that can bring people and families together. 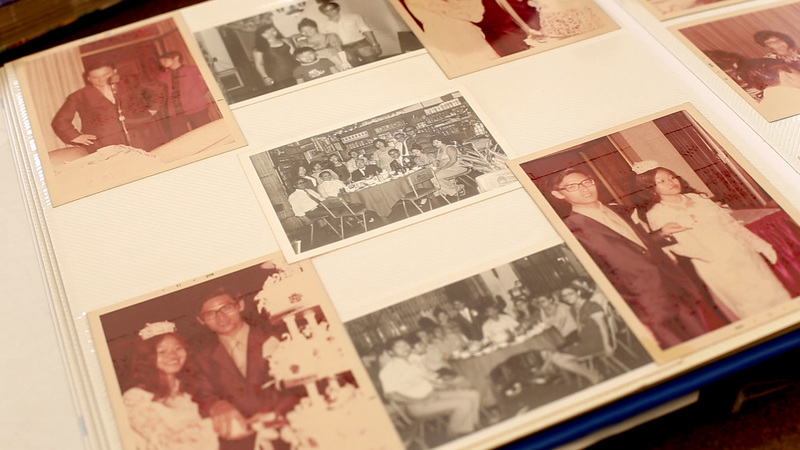 With a little more understanding of each other through memories documented on photographs, kinships stay strong and continue to be resilient in hard times. Each family that we will encounter is unique and we look forward to knowing their special ways of retelling those precious moments.